Although Costa Rica with it's in regional comparison above average development has a relatively stable economy, the country is facing the challenge of countering inequalities in the distribution of the achieved wealth. The provincial capital of San Isidro de El General is situated in the region of Brunca, which is one of the poorest regions in Costa Rica. The structural change from an agrarian economy towards new fields of work has caused a massive increase of unemployment there. Together with the economic problems, social problems emerged. Drug abuse has become an increasing problem, reports about domestic violence and crime became more frequent and at the same time the number of school dropouts increased. Kids and young people are especially affected by this problematic. Hopelessness and the lack of appropriate leisure activities are fuelling the risk of kids and young people to slide into negative structures. Therefore, it is essential, that the young people get the possibility of an appropriate leisure activity, where they experience support and are shown a way out of their seemingly hopeless situation. 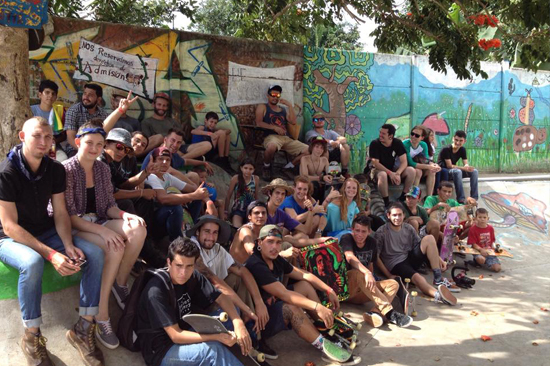 In each of their worldwide projects, the initiative "skate-aid" is cooperating with established local partner associations and thus ensuring a direct connection with the region and the people who live there. For this project, cooperation with the association "Vida Nueva" has been made. 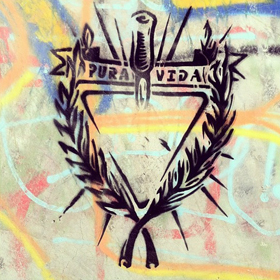 "Vida Nueva" is a social project that is caring about the needs of children in poor and difficult social conditions. 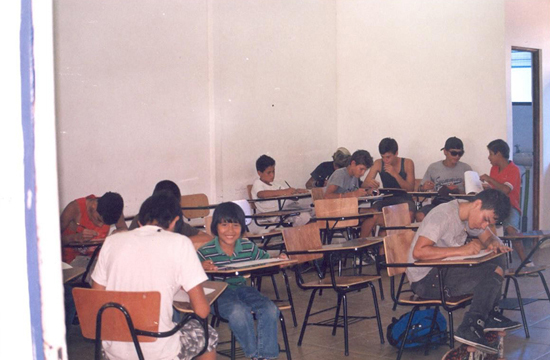 Here, the work is concentrating on sports and leisure activities, the possibility of school attendance for socially disadvantaged children and the establishment of preventive measures concerning domestic violence, education about family planning and other problems relevant for the kids and young people. The World Health Organization recently declared that sports are essential for the development of a healthy immune system and the strengthening of the physical and mental resources of kids and adolescents. In addition to that, the collective exercise supports the social communication between socioeconomically and culturally different groups. Also, sports create the possibility to overcome the boundaries of gender roles and cultural barriers and to integrate different kinds of people and thus enable them to participate in society. 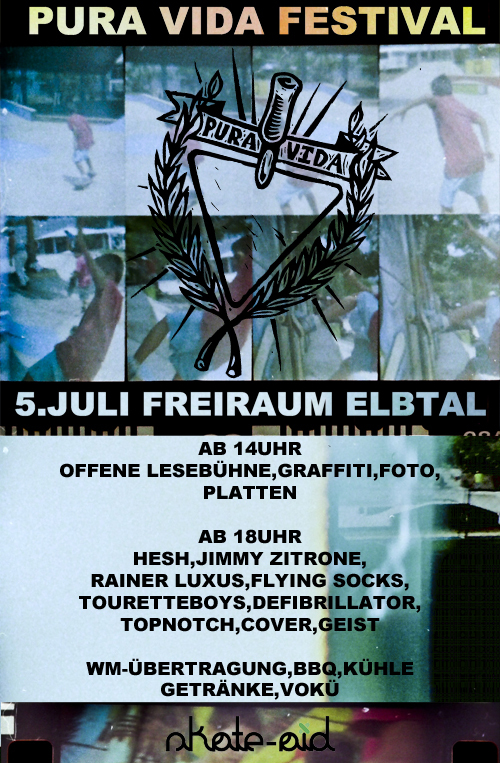 „Vida Nueva“ and "skate-aid" have decided together to build a sports complex for skateboarding to offer a safe and appropriate leisure activity for kids and young people and to accompany them on their way to becoming self-determined and responsible human beings. 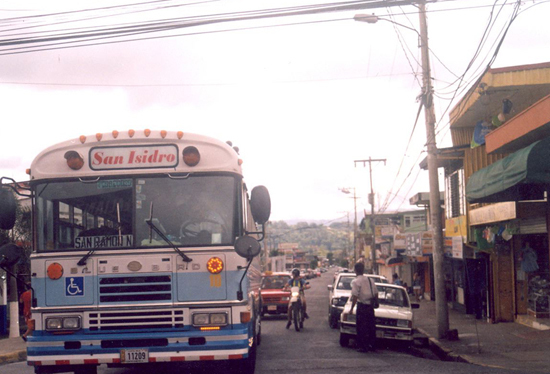 The place for our project, San Isidro de El General is situated in one of the poorest regions of Costa Rica and shows problems like drug abuse, a high rate of unemployment and a rising crime rate. Kids and young people are the ones who suffer most under these circumstances. A lack of leisure activities is leading them into a life on the streets and there is a great risk for them to slide into the loop of drug abuse and crime. This project shall give the young people an alternative to that way of life. Concentrating the energy of the young people on sports and social commitment, will improve their self-esteem and they experience a sense of belonging to a group. Thus, the kids and young people are being protected from the negative influence of gangs, violence and drugs. At the same time, they learn to take responsibility for themselves. 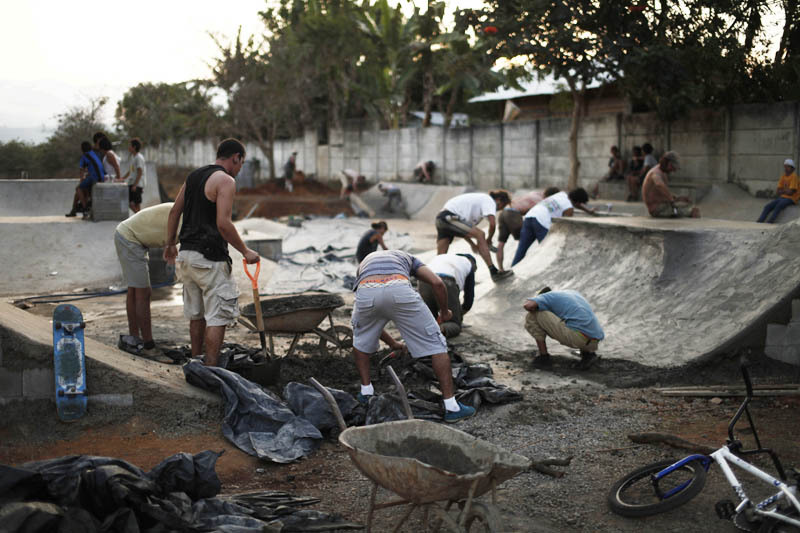 In this project, the young people will be actively involved in the planning and construction of the site and the realization of the workshops. This cooperation will support the social and the professional skills of the young people. Through the democratic self-organization within the community, the sense of responsibility and the independence of the kids and young people will be strengthened. At the same time, technical skills and a positive work attitude is being put across. 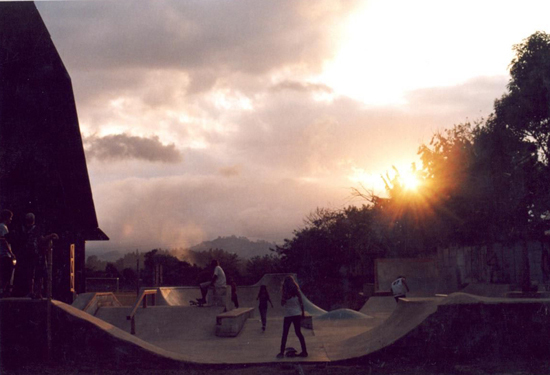 Skateboarding is an ideal sport for the work with kids and young people. It is not burdened yet. It is not a sport especially for male, female, white or black, rich or poor people. The meeting of different young people, no matter which gender, religion or social class they belong to, is supporting the mutual understanding of the young people. This brings the possibility to reduce social or gender specific inequalities and also enables girls to participate actively in the community. In the project, problem situations from the life of the young people are being thematised, so that the living conditions of the young people can be positively affected. In that way, an undeceived dealing of the young people towards issues like HIV, protection of the environment, violence, and equality will be achieved. Sports, connected with education shall strengthen the young people physically and mentally. This will cause positive long-term effects in society. Participation plays a major role as a formal principle. The significant involvement and participation of the target group and the local communities, they are being enabled to express and stand for their demands (empowerment). Thus, the people take on the project and its success and identify themselves with the project (ownership). This is an important for the sustainability of the project, which shall be self-sufficient in the medium term. In addition to that, the project will support the local economy, as only building materials from local suppliers will be used. Also, the sport site can be used by the local schools for their classes. The young people can take part in the project as instructors or assistant teachers, which will strengthen their leadership qualities. 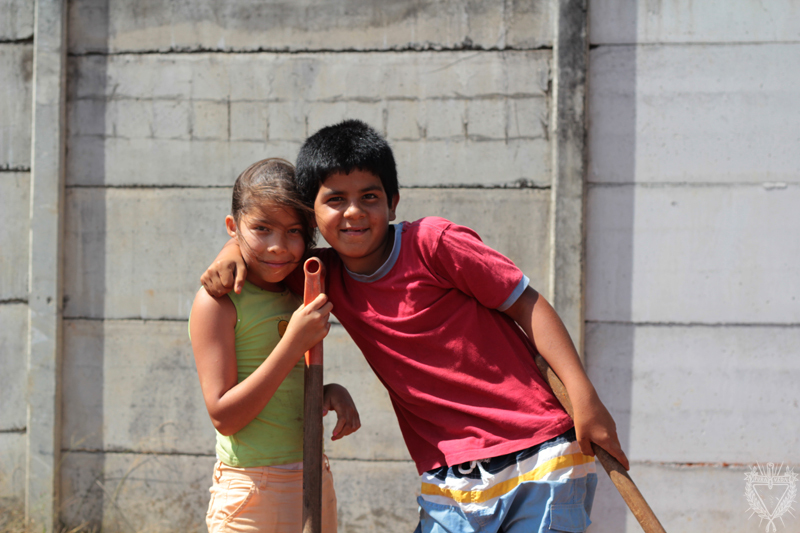 The project is focussed at the socially disadvantaged kids and ypung people in San Isidro de El General, Costa Rica. The concept is planning an open youth work. The sport site will be accessible by all young people who are interested. They can use it either independently and without instructions, or can also take the offered skateboard training. Studies show, that around 70 percent of all learning and educational processes are taking place outside of the educational institutions. The project is to be understood in that sense: Sports is offering a space of action for peaceful encounters and equal opportunities with each other are practised and mutual learning and acceptance is taking place. This is an ideal base for prevention and social reintegration, which are the aims of the project. This connects to the offered workshops, which take on issues, that are relevant for the situation of the young people and aim to improve their situation. When young people do sports in a club or in a group in general, they are part of a community of standards and values, where everybody is subject to the same rules. The process of integration (inclusion) into society (or parts of it) is supported; social isolation (exclusion) will be overcome. The acceptance of the social group is signalizing the individual a sense of belonging to the group. The sense of being a part of the group is a crucial aspect in the achievement and the stabilization of self-esteem and identity. The kids and young people feel like they belong to a certain group when they are skateboarding. 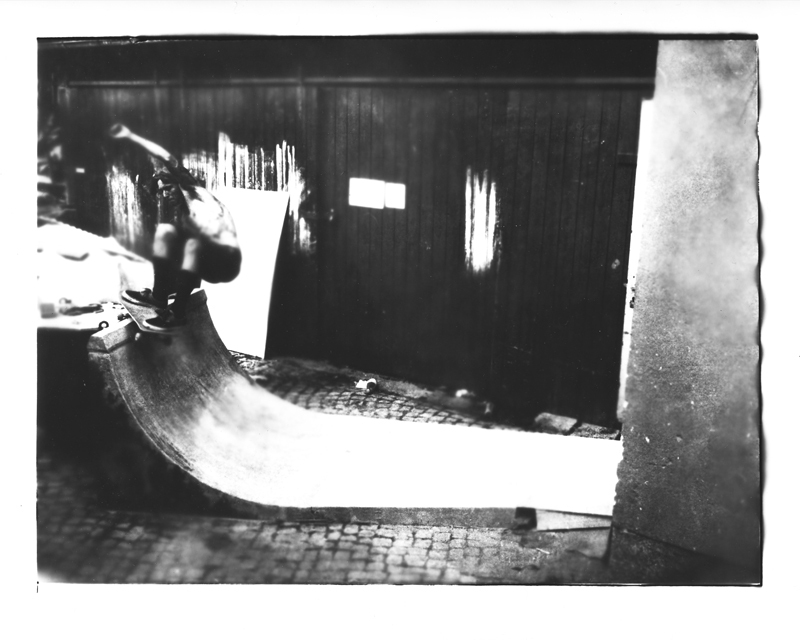 Thus, skateboarding is taking a role which strengthens the identity. At the same time it strengthens the kids' ability to work in the team, the ability to concentrate, social competence, discipline, tolerance as well as the ability to organize and to communicate. These competences are of high importance for a self-determined, independent life as an adult. The project supports the integration of the socially disadvantaged kids and young people and thus reduces inequalities in the long term.